Learning to read is often enjoyable, but for some children it can be a real challenge. The beautiful, colourful pages full of pictures- which often enhance their reading experience, can for some children, be far too overwhelming. That’s why I enjoyed trialling the BRI 1 and 2 books by Piper Books. 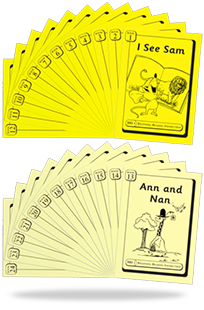 Their simple black and white pictures and text helps many children not to lose focus when learning to read. As a tutor I also found the book sets refreshing. 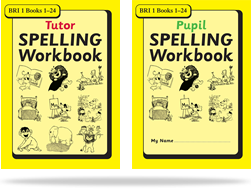 The set ‘Getting Started with BRI’- includes a workbook for spellings and a tutor workbook which made it easy to get the most out of the books without having to make my own resources to accompany them. The instructions in the tutor workbook are to the point and very easy to understand. But what did I like the most about them? Definitely the fact that these books make it possible for even the least confident of readers to actually be able to read and finish a whole book! How is this possible? By only using a handful of basic words to start with in the books. No extra words, no padding out, no fuss. Therefore it doesn’t matter that the student may only be able to read 3 or 4 words, as that’s all they need to be able to do read every single word in the whole book. And in my opinion, being able to finish reading a whole book at an early age can do wonders for encouraging a life-long love of reading.